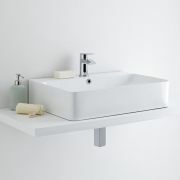 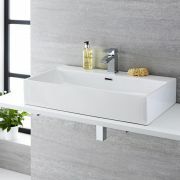 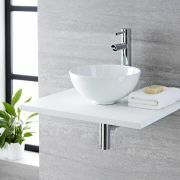 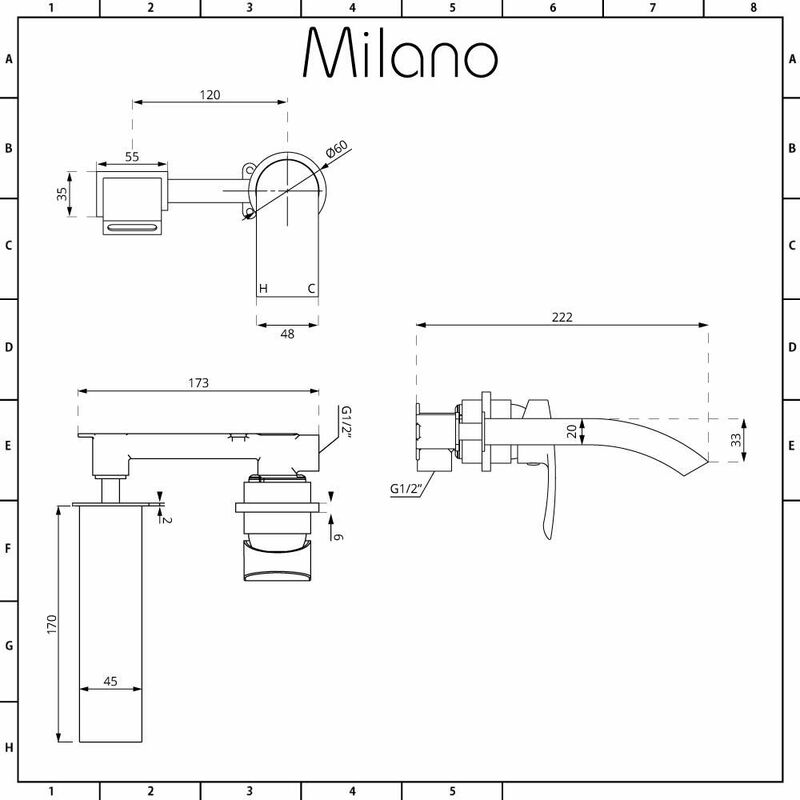 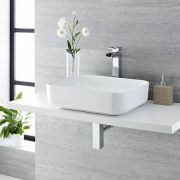 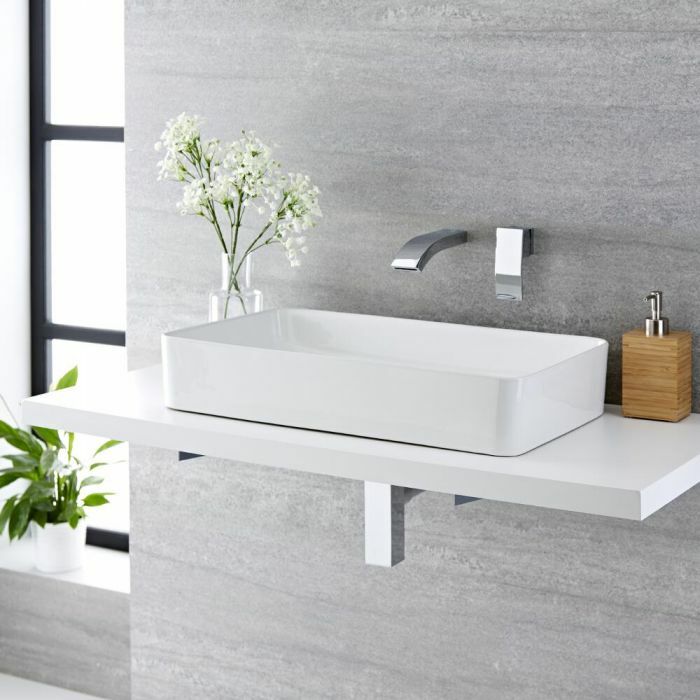 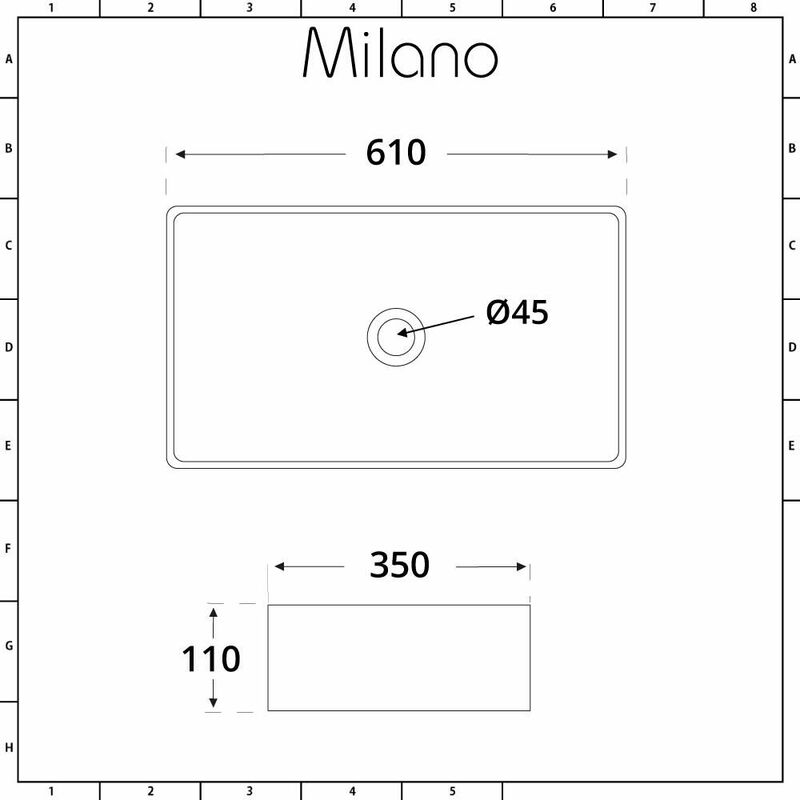 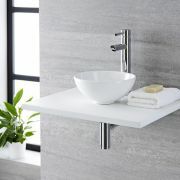 Reinvent your bathroom or en-suite by introducing a bold new design courtesy of the Milano Rivington 610mm x 350mm rectangular countertop basin and Razor wall mounted mixer tap. 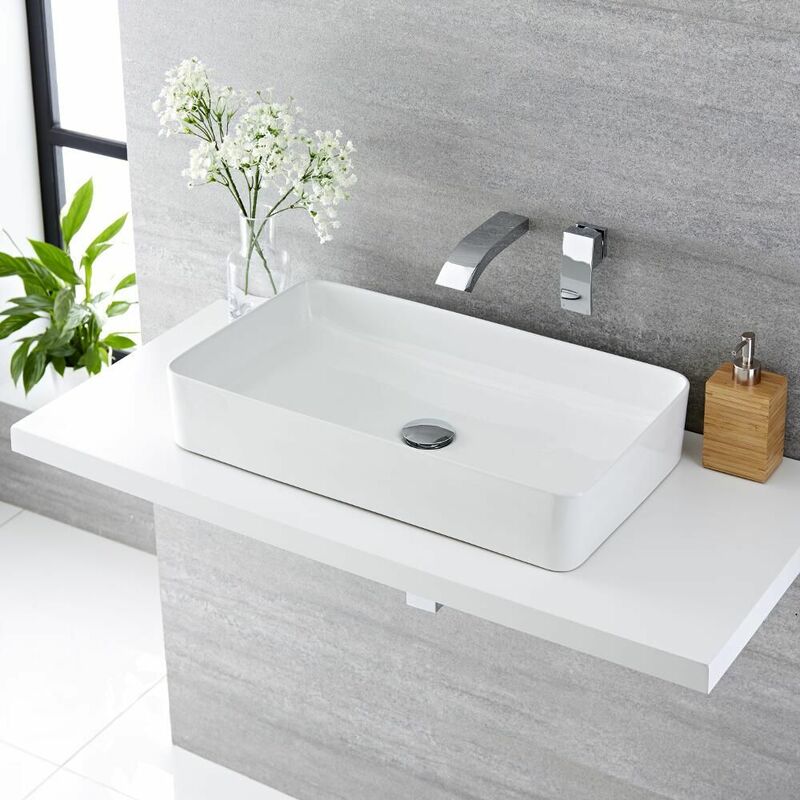 Effectively exuding modern style thanks to the smooth lines of the high quality ceramic basin and the contemporary look of the solid brass tap this pairing combines to form the basis of a stylish new look. 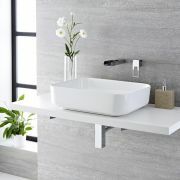 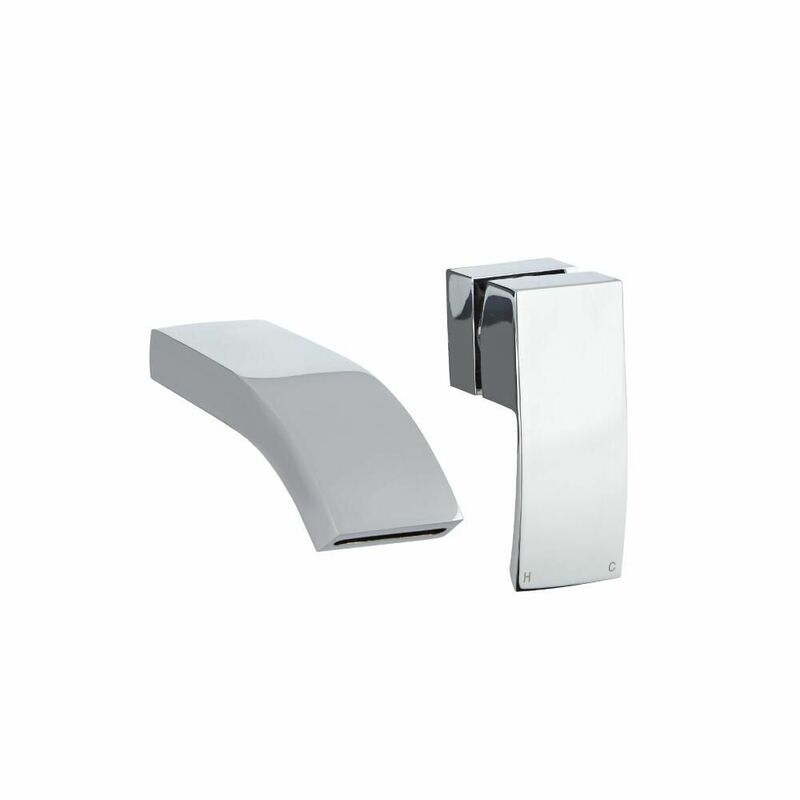 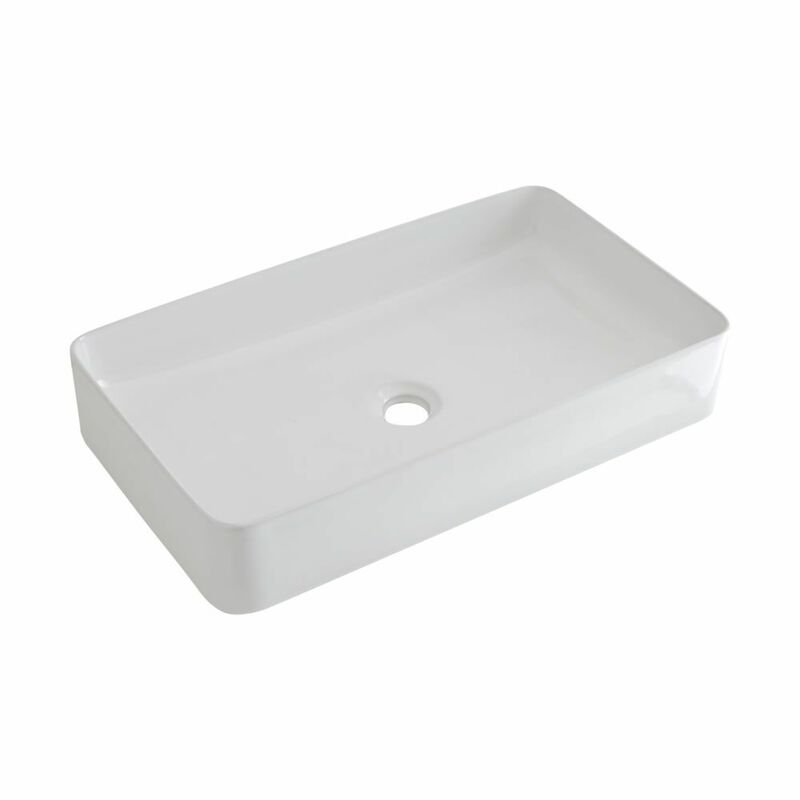 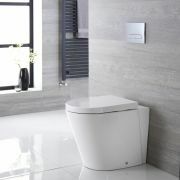 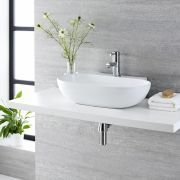 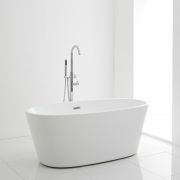 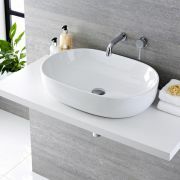 By respecting both form with function, courtesy of the basin’s easy to clean white glaze and the lustrous chrome finish on the tap, you can be sure that they will look their best for the long term.